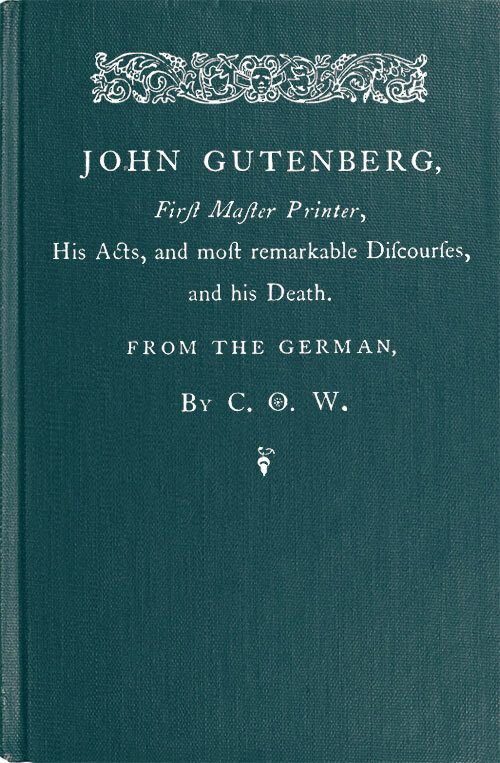 Distributed Proofreaders proudly brings to you Project Gutenberg’s 50,000th title, John Gutenberg, First Master Printer, His Acts, and most remarkable Discourses, and his Death, by Franz von Dingelstedt, translated from the German and published in 1860. I couldn’t think of a more appropriate title to celebrate this milestone. Johannes Gutenberg is known as the inventor of the moveable-type printing press, which led to the mass production of printed books and subsequent growth of literacy, knowledge and learning. The project was first suggested by a DP volunteer. It was quickly picked up by one of our newer project managers, ably assisted by one of our more experienced and prolific project managers, who helped convert the long “s” used in the original publication to the regular “s” in use today. With notification that PG was nearing its 50,000th book, the project manager suggested that if we hurried, perhaps we could finish it in time to be considered as a contender. More than 30 volunteers joined in with no notice and made sure the pages were proofread and formatted to a standard of excellence, so that there was very little for the post-processor to have to do to assemble and check the pages for the final ebook. A draft was made available, and in next to no time smooth readers had read the book and reported their findings to ensure the ebook represented the original. The Bible, on its part, had its silver clasps well rubbed and polished, and, being placed on a table, it shone, to the edification and admiration of all beholders. My art belongs to me as much as to the rest of the world; let it remain the property of intelligence, and only be practised by those who have been initiated in it. … art is not like any other art; a painter sketches his figures on the canvas, and he perfects the creation of his thought; the same with the poet, the engraver, the architect, and the musician; we, on the contrary, with our presses, are only the servants of others; printing is only an instrument for thinkers. Of what importance are the fingers which regulate the letters in a book? Of what importance is the hand which works the press, which arranges the pages and the leaves, which gives a visible form to the action of the mind? Gutenberg toiled long and hard, working in dark, oppressive and humble conditions, but eventually he lost his business to Fust and died “neglected and in destitution.” His legacy, however, lives on, and his namesake, Project Gutenberg, continues the philosophy of sharing the printed word with the world. 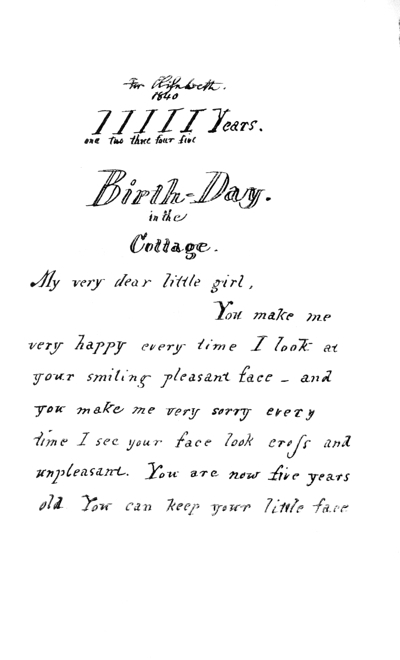 For all those who have ever read Little Women and loved it, Little Women Letters from the House of Alcott shows how much of Little Women was based upon Louisa May Alcott’s own family. What makes this biography special is that it is primarily told in the letters that the Alcott family wrote each other, including a letter from five year old Anna telling her mother that “You have a splendid husband”. I don’t know if Bronson Alcott was that splendid of a husband (he was a failure as a businessman, and his family lived in poverty most of their childhood), but he definitely was a “splendid” father. who loves his little girl very much, and knows that she loves him very dearly. Indeed, it was always Mrs. Alcott who could have given the tragic side, skillfully as she kept her worries hidden. Her own family, indignant because Bronson Alcott could not better provide the material needs for his family, on more than one occasion besought the faithful wife to leave him. Reading this book, I am struck by how strong an impact the father had on that family. Bronson Alcott was an idealist, with strongly-held views of the world, and he passed those strongly held views to his children with love and tender care. Strongly-held views taught with love and tender care are not necessarily correct. For instance, I doubt my daughters would agree with the sentiment of a young Louisa Alcott that “love of cats” is a vice. Having Bronson Alcott as a father definitely was a mixed bag, the type of life that makes great source material for a novel.